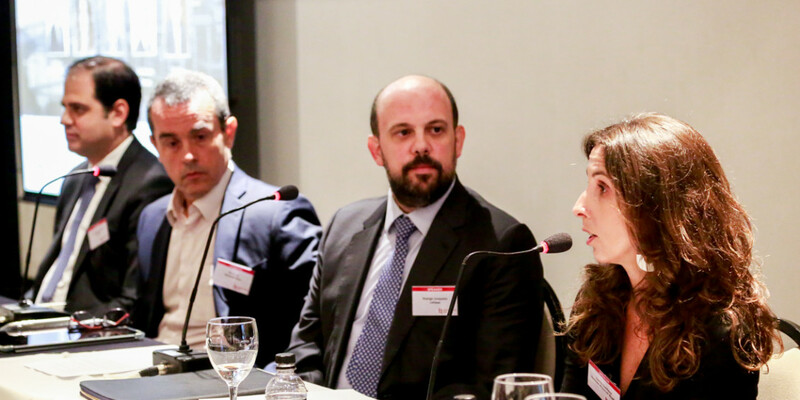 There is just one week left to register for the Latin Lawyer Live Capital Markets conference in São Paulo, where João Elek, until recently the chief governance and compliance officer of Petrobras, will deliver the afternoon keynote address. 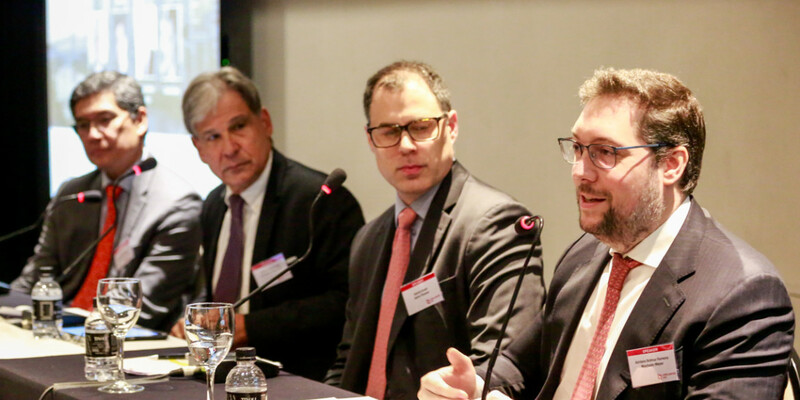 Brazil’s president-elect Jair Bolsonaro is sending the right message to the markets by empowering his economic advisor Paulo Guedes and putting market-trusted economists on his team, but investors want policy change before they act, agreed panellists speaking at the Latin Lawyer Live Capital Markets conference held on Tuesday in São Paulo. Jean advises corporations, financial institutions and institutional investors in a wide array of corporate and financial transactions, securities and payment services regulatory issues. 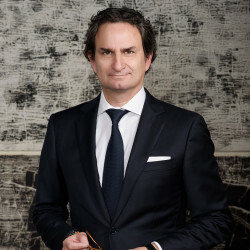 His experience includes public offerings and private placements of equity, debt and hybrid securities, listing of securities in exchange markets, private equity investments and divestments, and corporate transactions involving public companies. 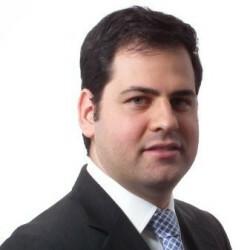 He is a member of the Regulatory Committee of the Brazilian Association of Venture Capital and Private Equity (ABVCAP). 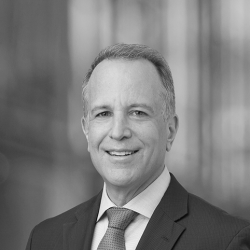 David Flechner is a partner in the Capital Markets practice and is based in our São Paulo office. His practice focuses on representing financial institutions and corporate issuers across a wide range of sectors, primarily in Latin America, in debt and equity securities offerings and liability management transactions, both on an SEC-registered and exempt basis. 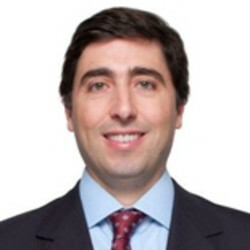 David also has extensive experience advising leading Latin American companies and sovereign governments on SEC reporting obligations, U.S. stock exchange rules and corporate governance matters, and he has acted for lenders, arrangers and borrowers in infrastructure financings, restructurings and M&A transactions. 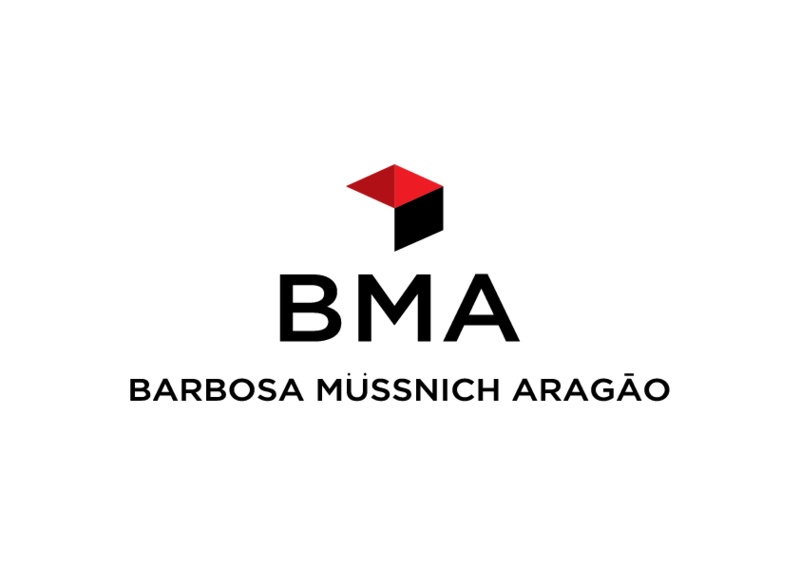 David has represented financial institutions and corporate clients that include Barclays, Bradesco, BRF, Citi, Credit Suisse, Deutsche Bank, HSBC, Morgan Stanley, Petrobras, Santander and Vale, as well as multilateral lenders, including the International Finance Corporation (IFC) and Inter-American Investment Corporation (IDB Invest). 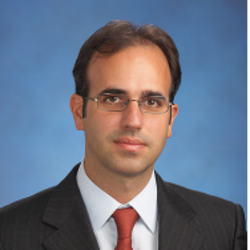 Partner in infrastructure, corporate and finance, Adriano specializes in project and structured finance transactions. He is highly experienced in the transportation, logistics and mining industries. 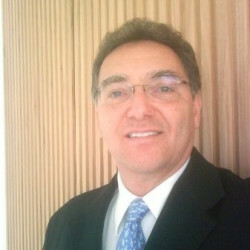 Alberto Rebaza is founding partner and managing partner of Rebaza, Alcazar & De Las Casas law firm. Partner leads to mergers and acquisitions and corporate areas. In addition to his masters, he has studies at Georgetown University and England. 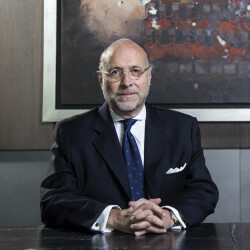 Alberto has been consistently considered by legal rankings as a leading lawyer in M&A, Banking and Finance. These publications include Chambers & Partners, IFRL 1000, Who's Who Legal and LatinLawyer, among others. Also, Chambers & Partners called him "as the leading voice for large financial transactions and M&A". He has been a speaker at different conferences in Dublin, San Paulo, Bogota, Panama City, Barcelona, NYC, Ciudad de Mexico, Bogota, Singapur, among others. He has also been director in several companies and organizations such as Edegel (Energy), Rigel Peru (Insurance), Liderman (Services), Amrop (Services), IPAE, Pesquera Alexandra (Fishing), YPO, among others. Very much involved in the arts world, Alberto is vicepresident of the Museum of Art of Lima, member of the international patronage committee of the Reina de Sofia Museum and member of the Latin American Circle at Guggenheim Museum in NYC. Mr. Mena advises and represents clients before governmental authorities and in administrative litigation. After being the first head of the Investigating Authority in the Federal Commission of Economic Competition (COFECE), he advises clients in relation to all economic competition issues. In addition, he is the co-leader of the Firm's investigation and regulatory compliance practice, where he advises on internal investigations, government investigations and compliance. Mr. Mena was involved in the creation of the new national anti-corruption system and in the training of the new system operators. Mr. Mena has experience in the coordination of procedures in different jurisdictions, especially in Latin America. 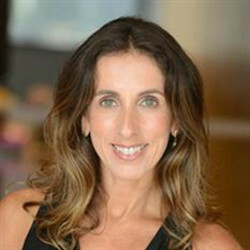 Cynthia Catlett is a Senior Managing Director in the Global Risk & Investigations Practice (“GRIP”) within the Forensic & Litigation Consulting segment at FTI Consulting. She is based in São Paulo. With more than 13 years of investigative consulting experience, Ms. Catlett routinely serves as a trusted advisor to corporations, audit committees, special committees of boards of directors, financial institutions and law firms, in which she conducts corporate investigations involving allegations of fraud or corporate corruption, due diligence investigations, asset investigations and dispute-related inquiries. 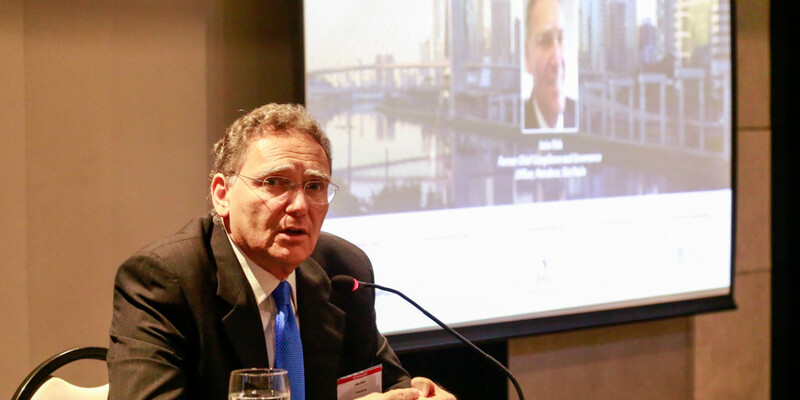 Daniel Uzueli joined Astris in 2013 as Director based in São Paulo, coordinating Astris’ activities in Brazil. Daniel has over 15 years of experience in the Brazilian infrastructure industry. Daniel began his career with the project finance team at Banco Votorantim (1998-2002). He then worked as an independent consultant and as Senior Strategic Manager at Alcoa (2002-2005), prior to joining Rio Bravo Infrastructure as a Senior Partner in 2005. 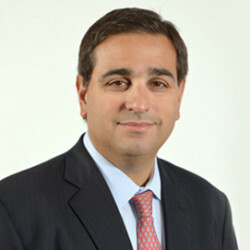 Diego E. Parise has extensive experience in the structuring, negotiation and execution of M&A, joint venture and financing transactions, both in Argentina and overseas, and has represented Argentine and non-Argentine clients in public and private stock and asset acquisitions, offerings of debt and equity securities, bank financings and debt restructurings. In addition, he regularly advises clients on securities and stock markets regulations and corporate governance and compliance issues. Don advises clients on a broad range of capital markets offerings, corporate finance transactions and corporate matters. 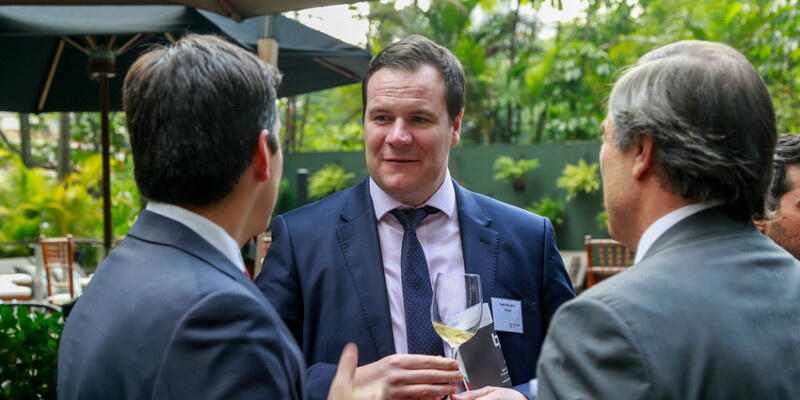 He focuses on the Brazilian market and wider Latin American region, where he has amassed extensive knowledge and experience over the course of his career. He regularly works with Brazilian companies and financial institutions and also advises international clients interested in investing Brazil and elsewhere in Latin America. 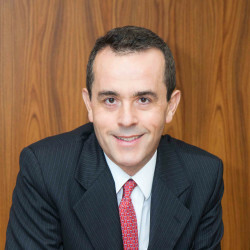 Don relocated to São Paulo in 1997 to open the Firm's office. He has represented Brazilian and other Latin American issuers in international offerings of debt and equity securities and private placements by an array of Latin American issuers. He is also regularly engaged in cross-border syndicated loans, structured finance and project financing transactions, as well as acquisitions and joint ventures. 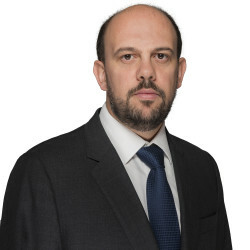 Fernando Almeida is an of counsel based in the São Paulo office of Gibson, Dunn & Crutcher and a member of the Firm’s Capital Markets, Mergers and Acquisitions, FCPA, White Collar Defense and Investigations, and Latin America Practice Groups. Mr. Almeida has extensive experience advising major international and Brazilian investment banks, corporations and private equity investors in a wide range of cross-border transactions involving Brazil. Mr. Almeida has represented various issuers and underwriters in cross-border public and private offerings of equity and debt securities, as well as in private placements and bank financings. 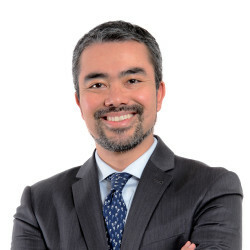 He also has significant experience advising foreign investors in the acquisition of, and joint venture formation with, Brazilian public and private companies, and serves as counsel to Brazilian companies in cross-border business combinations. 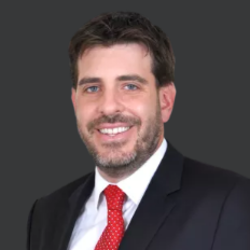 Mr. Almeida has been described by legal publication Latin Lawyer as being well versed in Brazilian capital markets work and has been recognized by Legal 500 as a prominent member of Gibson Dunn’s Latin America capital markets practice. Fernando Mirandez Del Nero Gomes é integrante de Pinheiro Neto Advogados desde 2002 e trabalha no escritório de São Paulo. Fernando atua principalmente na área de instituições financeiras e meios de pagamento, assessorando instituições brasileiras e estrangeiras em aspectos regulatórios diversos, fusões e aquisições (M&A), joint-ventures e financiamentos estruturados locais e internacionais. Partner of Carey and member of the firm’s Mergers & Acquisitions and Capital Markets Groups. 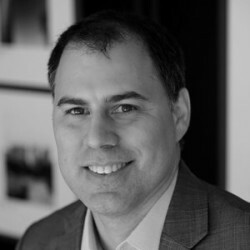 His practice focuses on representing local and foreign clients in mergers and acquisitions of companies, asset acquisitions, fund formation, structuring, registration and management of funds, and investment in portfolio companies, private equity and venture capital, joint ventures, corporate governance and securities regulation (for issuers, investors, brokers and other market players. 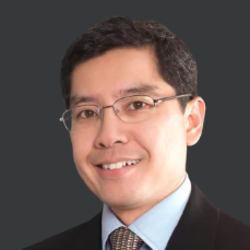 Gregory Tan is the Global Project Development & Finance Practice Group Leader. He focuses on project development, limited recourse and structured financings and restructurings in the infrastructure and energy sectors. 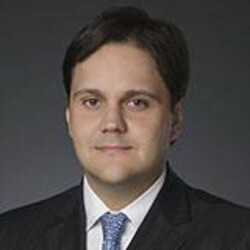 Head of Simpson Thacher & Bartlett’s São Paulo office, Grenfel Calheiros advises clients on M&A and capital markets transactions, with a primary focus on Brazil. His clients have included a range of leading companies, private equity sponsors and investment banks in cross-border acquisitions, securities offerings and other complex corporate matters. Recently, he has been involved on several IPOs, including Netshoes, Carrefour, BR Distribuidora and Burger King Brazil; several transactions by Blackstone Real Estate Partners; the acquisition of Companhia Providência by Polymer Group; the $4.8 billion acquisition of Sadia by Perdigão and the related $2.4 billion SEC-registered equity offering by BRF; and bond offers by Embraer, GOL and others. Grenfel is fluent in Portuguese. 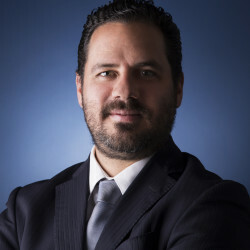 As founding Partner of the firm, Mr. Morales has vast experience advising both national and international companies in the processes of planning, negotiating and executing acquisition transactions and mergers, securities offerings, debt emission and corporate restructuring, as well as restructuring of liabilities. Mr. Morales is the author, among other publications, of “Privatization in Latin America”, Latin Finance (March 1991) and “Mergers & Acquisitions”, International Finance Law Review (April 1996). He is the honorary legal counselor of the British Embassy in Santiago and member of the Bar Association in Chile. 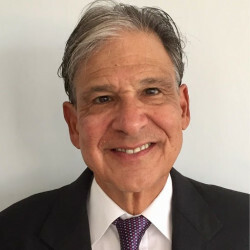 Luis A. Nicolau has been a partner at Ritch Mueller since 1990. Mr. Nicolau specializes in mergers and acquisitions, debt and equity capital markets transactions and banking and finance. He is a leading expert in assisting underwriters and issuers in debt and equity offerings in Mexico and abroad. 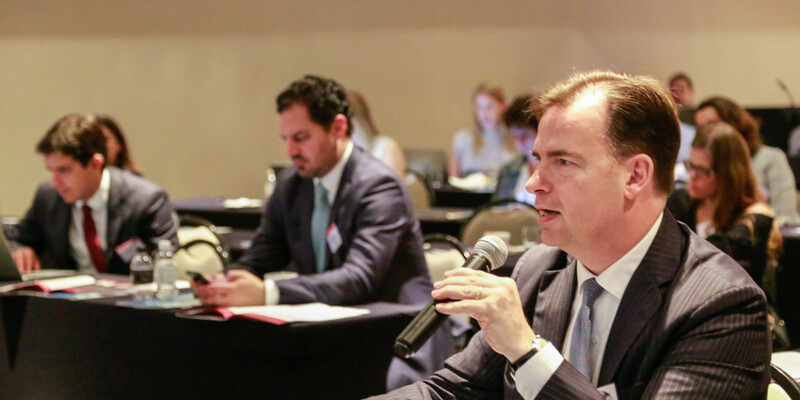 He has participated in many of the largest public Mexican M&A transactions, and advises foreign and domestic private equity funds on a regular basis. He has assisted numerous international financial entities in setting up their Mexican operations (including Scotiabank, JPMorgan, Credit Suisse, Santander and Morgan Stanley). Mr. Garciadiaz is a partner in Davis Polk’s Corporate Department, regularly advising U.S. and non-U.S. clients on capital markets transactions, including high-yield debt offerings, initial public offerings and exchange offers, mergers and acquisitions, structured and project financings, liability management and debt restructurings, primarily in Latin America. He advises clients in matters related to corporate integrity, anti-corruption compliance, and corporate governance issues. 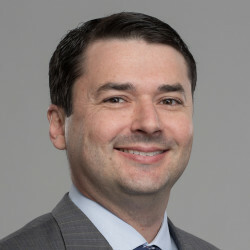 His expertise includes conducting internal investigations, representation of clients in administrative inquiries and disciplinary procedures, representation of clients in negotiation of leniency agreements, preparation of compliance programs and trainings, anti-corruption compliance due diligence, and assessment of contractual and corporate governance obligations as well as disclosure of information to the market in connection with internal or government investigations and related enforcement actions. 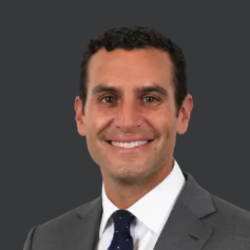 Rodrigo is a partner at Lefosse Advogados, specialized in mergers, acquisitions and in a large range of financial transactions, including both equity and debt capital markets work, where he has acted as issuer’s and underwriter’s counsel in securities offerings. 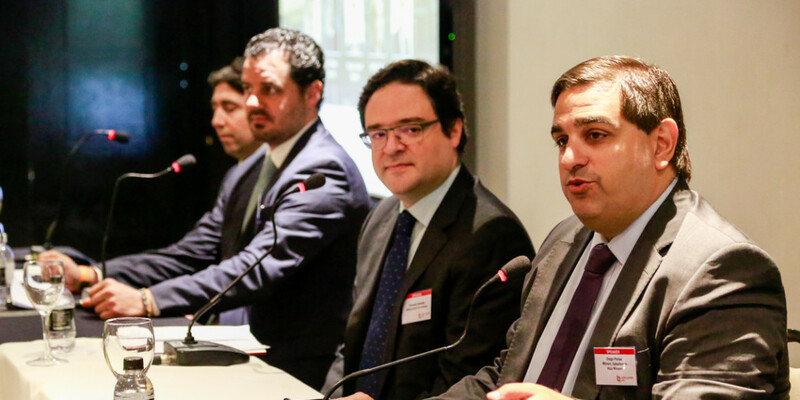 Rodrigo acted as counsel in some of the most important M&A and Capital Markets transactions in Brazil, including Project Arcachon, the global restructuring of Groupe Casino’s e-commerce business, in preparation for Cnova N.V.’s (“Cnova”) NASDAQ listing. 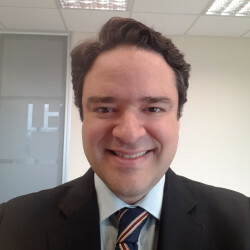 He obtained his Bachelor Degree in Law from The Catholic University of São Paulo – PUC/SP and his Bachelor in Business Administration from Getúlio Vargas Foundation – FGV/SP. 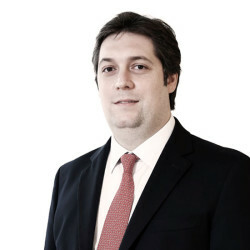 Rodrigo has been elected by Chambers Latin America as one of the leading lawyers in Brazil. 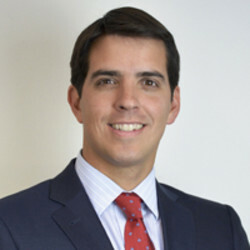 Rui Alves is a lawyer, graduated at the University of São Paulo Law School. Mr. Alves holds a Master of Laws (LLM) degree from the University of Pennsylvania Law School. 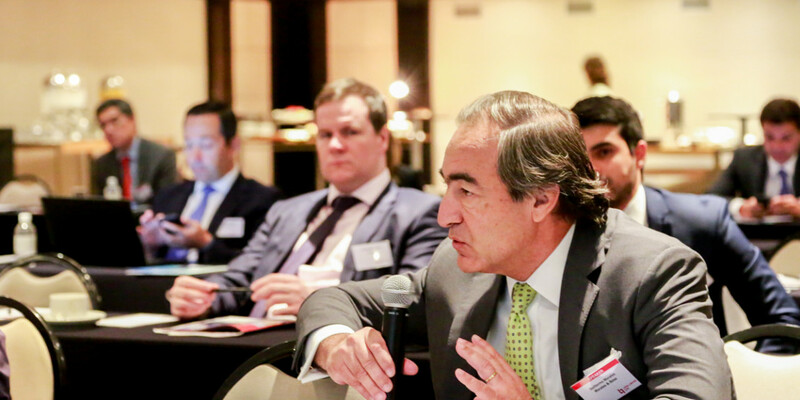 He is currently the head of the Legal Department of Deutsche Bank S.A. – Banco Alemão, in São Paulo, Chairman of the Legal Committee of the Brazilian Association of Investment Banks – Anbima. 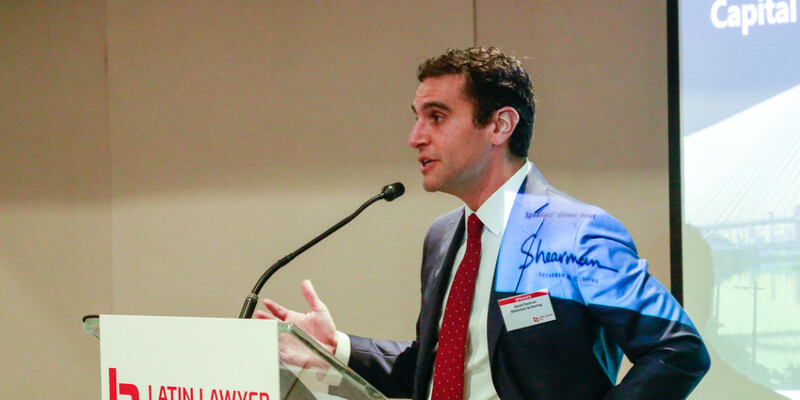 Mr. Alves coordinates the Comission of Financial Markets Law of Ibrademp – Brazilian Institute of Business Law. Professor Stephen Wallenstein is a recognized expert in global capital markets and project financ. Stephen recently retired as professor of practice of finance at the Smith School, University of Maryland. Prior to his position in Maryland, Stephen was a professor at the Fuqua School of Business and Duke Law School, where he founded the Duke Directors' Education Institute (DEI). 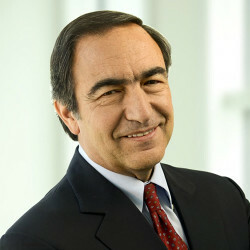 He also established the Duke Global Capital Markets Center, a unique collaborative venture between Fuqua and Duke Law. Stephen spent 15 years as Senior Counsel and Senior Investment Officer at IFC, responsible for capital market development, project finance and privatizations. Previously, he was an associate at Cleary Gottlieb in Rio de Janeriro and New York. Steve holds a J.D. from Yale Law School, a M.A. in government from Harvard University where he was a Woodrow Wilson Fellow, and a B.A. from Cornell University, elected to Phi Beta Kappa in his junior year. With Brazil’s general elections taking place in October, the country will have a new president by the time of the conference. The elections will be decisive for Brazil’s capital markets, which have been volatile in the year to date. This panel will discuss the response of investment banks and companies that want to go to market in light of the outcome of presidential and legislative elections. Speakers will also consider where the CVM stands in terms of reviewing the regulatory framework for securities and assess the progress of an initiative to reduce compliance costs for market participants. The recent notebook scandal in Argentina could spark a widespread crackdown on corruption reminiscent of Operation Car Wash in Brazil. 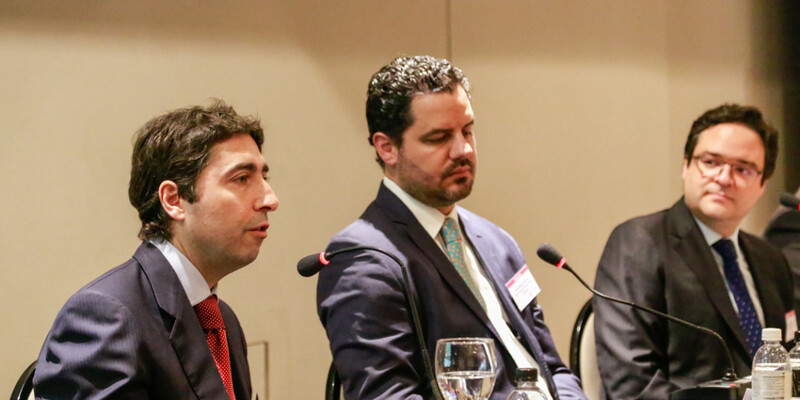 Speakers will discuss the implications for Argentina’s economy and companies’ corporate responsibility, and consider how that might affect deal flow. 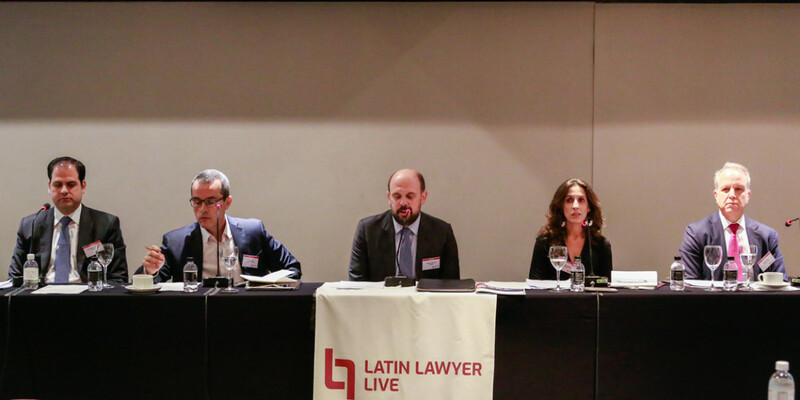 The panel will compare the unfolding situation in Argentina with recent history in Brazil, where the subsequent increase in enforcement of anti-corruption legislation has had a deep impact on doing business. How might the Argentine authorities differ in their approach? Panelists will also discuss how the fight against corruption elsewhere in the region influences capital markets activity. Infrastructure projects remain a top priority for governments around the region, and require vast sums of capital. The level of sophistication of overseas institutional investors has increased and they are being more aggressive in their terms. The panel will analyse these investors’ preference for private placement project bonds and explore the increased involvement of multilateral lenders in such deals. 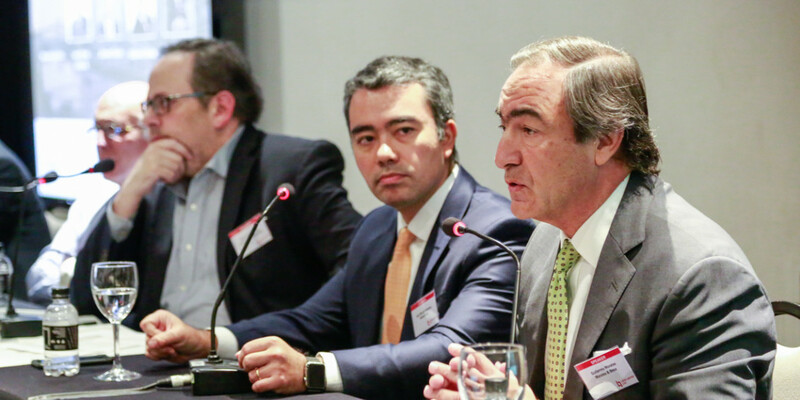 Speakers will also consider the smaller role multilaterals play in supporting project bonds in investment grade countries like Chile, Mexico and Uruguay compared to those in riskier markets, as well as unpicking the strategy of BNDES to foster capital markets finance for infrastructure in Brazil. Earlier this year, PagSeguro became the first Brazilian fintech provider to list its shares on the New York Stock Exchange with a US$2.6 billion IPO. 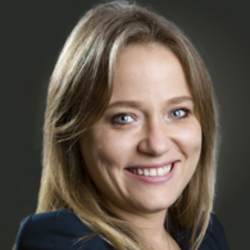 Fintech is a hot industry in Latin America. It is attracting venture capital in core markets such as Mexico and Colombia, where Rappi, a new on-demand delivery start-up, recently raised its valuation to over US$1 billion. 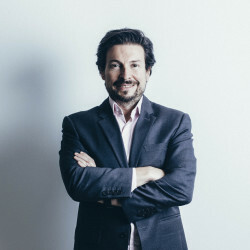 Rappi became the region’s second ‘unicorn’ after São Paulo start-up Nubank’s valuation exceeded the billion dollar mark with new venture capital funding earlier in the year. But there are lingering risks that appropriate local fintech regulation has not kept apace with innovation, evident in the Argentine government’s handling of the growth and planned break-up of payment services player Prisma. 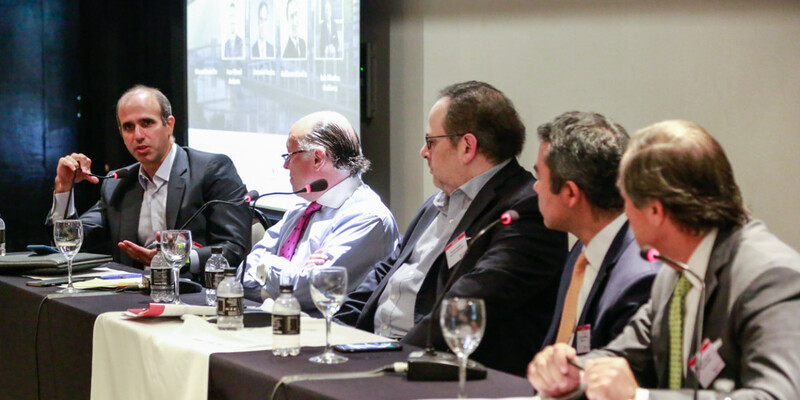 Speakers on this panel will analyse the opportunities and challenges in this new market. Choosing where to list a company can have a profound influence on the success of a flotation. What works for one company could have significantly different results for another. Global exchanges have long competed to list companies from emerging markets, and some Latin American regional exchanges are starting to enter the fray. Speakers will assess the pros and cons of global, dual and single market listings and discuss the factors that lead companies to choose one path over another, such as its target investors or the complexity of regulation. 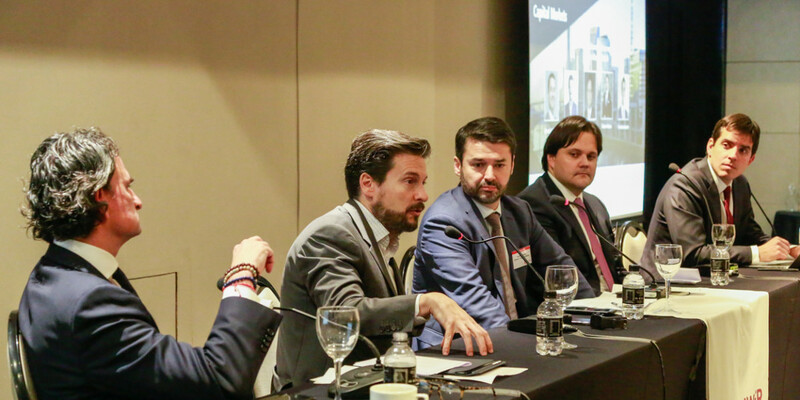 The panel will also assess the advantages of Latin American companies choosing listing venues outside of their jurisdiction if there is not enough capital available at home.